Thick mat with an area of 12 m2 that is made up of smaller mat squares; jujitsu is practiced on it. Red band that is 1 m wide; it delimits the contest area. Surface that is 1 m wide and surrounds the warning area; it protects a contestant who is thrown out of the contest area. 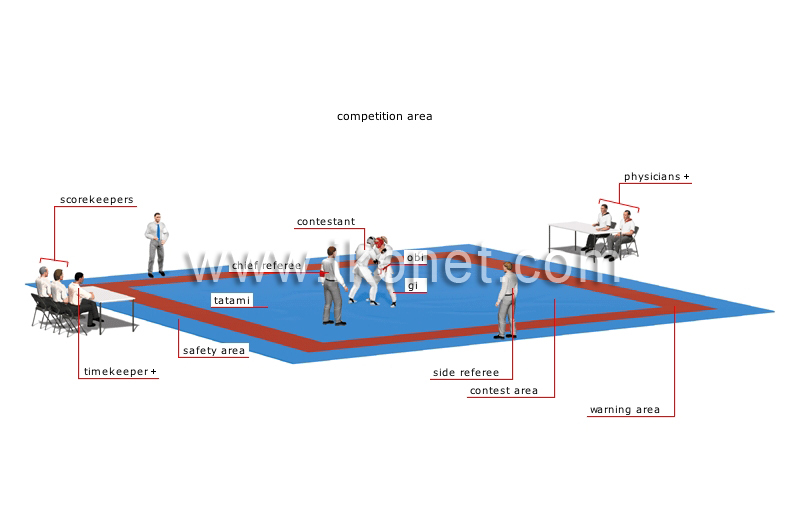 Surface with an area of 8 m2 on which the bout takes place.